Centrally located in Taitung, Bali Suites Hotel offers comfortable accommodations with free internet access. Situated within walking distance of the Siaoyeliou Rocks, it offers tour arrangements and free bike rental. Taitung Bali Suites Hotel is within walking distance of Siangyang Forest Recreation Area and the local night market. It is 4 miles from Taitung Train station and 5 miles from Taitung Airport. The air conditioned rooms at Taitung Bali Suites are well-equipped with cable TV, a mini refrigerator and an electric teakettle. A work desk and sofa bed are also provided. Private bathrooms come with a hairdryer and toiletries. 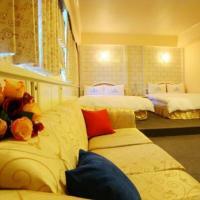 Taitung Bali Suites Hotel has a karaoke room, a business center and a 24-hour front desk. Car rental and currency exchange are available. Buffet breakfast is served at the hotel. The Seafood Restaurant offers Taiwanese and Cantonese dishes, as well as seafood specialties. Located a 2-minute walk from Taitung City Centre, Traveler Hotel offers cosy rooms with free Wi-Fi and cable TV channels. Bicycles are available for free. The hotel has a 24-hour front desk. Traveler Hotel Taitung is a 5-minute walk from Fruit Street and 10-minutes’ on foot from Taitung Haibin Park. Taitung Train Station is a 10-minute drive away. Rooms come with a minibar and electric kettle. Bathroom toiletries, a hairdryer and slippers are provided. The hotel’s tour desk assists with ticketing services and sightseeing arrangements. A drinks vending machine is available for guests’ convenience. Laundry can be done in the hotel. Located in the National Taiwan Prehistory Museum of Taitung, Taitung Cultural Excursion Resort provides modern rooms with free internet. It has a restaurant, bicycle rental facilities and laundry services. Designed by Michael Graves, the resort features beautiful, cosy rooms with air conditioning, tea/coffee making facilities and flat-screen TVs. The en suite bathrooms are fitted with slippers, a hairdryer and free toiletries. Some suites have private balconies offering views of the park. The resort is located a 10-minute walk from the Kangle Train Station. Taitung Airport is a 10-minute drive away. Taitung Resort’s tour desk helps guests organise excursions to popular attractions. The Italian-themed Graves Kitchen restaurant serves delicious set dinners, as well as offers an a la carte menu. Breakfast is also available. Taitung Toilet Fish B & B is situated along Wenshan Road, just a convenient 5-minute walk from East Sea Park. Cosy rooms come with free Wi-Fi access, while complimentary parking is provided on site. Fitted with parquet flooring, air-conditioned rooms are simply equipped with a flat-screen TV and hairdryer. Each room includes an en suite bathroom offering hot and cold shower facilities, along with free toiletries. At Taitung Toilet Fish B & B, guests can request for luggage storage or approach the tour desk to assist with bookings of sightseeing excursions and travel arrangements. The property also provides a shared kitchen and a common seating area for guests. 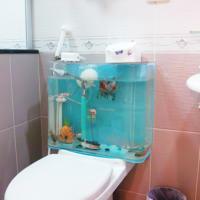 Taitung Toilet Fish B & B is located within a 5-minute drive from Taitung City Centre. Taitung Railway Station is approximately a 10-minute drive away. 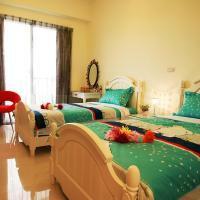 Taitung Spring B&B offers modern rooms with free Wi-Fi in Taitung City. Located 800 metres from Taitung Beach, the property serves a daily breakfast at its on-site restaurant. An 8-minute walk from Taitung Forest Park, Taitung Spring B&B is a 10-minute drive to Taitung Train Station. Taitung Airport is a 15-minute drive away. 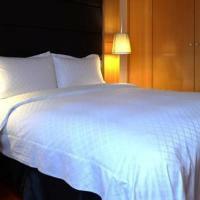 The air-conditioned rooms come with wood flooring and feature a flat-screen TV, minibar and desk. Private bathroom includes a shower, hairdryer and free toiletries. Staff at the B&B can assist guest with tour arrangements. Luggage storage facilities are also available. Situated a 2-minute walk from Taitung Train Station, Star 101 Guest House houses a lawn and a fitness room. It also provides rooms with complimentary Wi-Fi access. The guesthouse is a 10-minute drive from the famous Fruit Street and Taitung Haibin Park. Taitung Airport is also a 10-minute drive away. Fitted with wooden flooring, air-conditioned rooms feature cable TV and an electric kettle. The en suite bathroom comes with a separate shower area and toilet. Hot water supply and toiletries are included. Star 101 operates a 24-hour front desk and provides a luggage storage service. A 5-minute walk from Taitung Train Station and Bus Terminal, Paris Summer House is a modern yet charming guesthouse with on outdoor yard with seating. The public guest areas come with free Wi-Fi. A daily free breakfast is provided every morning. Uniquely decorated, rooms feature different themes and air conditioning. Some rooms on the upper floors include balconies. All come with a flat-screen TV, mineral water and an en suite bathroom with a shower. Paris Summer House is a 15-minute drive from Taitung Airport. Nearby attractions include Tatitung Forest Park, Fugang Wharf and Peinan Cultural Park. Guests who drive can enjoy free parking at a location nearby. This is a non-smoking property.